It’s well known that social media is and will continue to be a major player in the growth or demise of companies and business around the world. 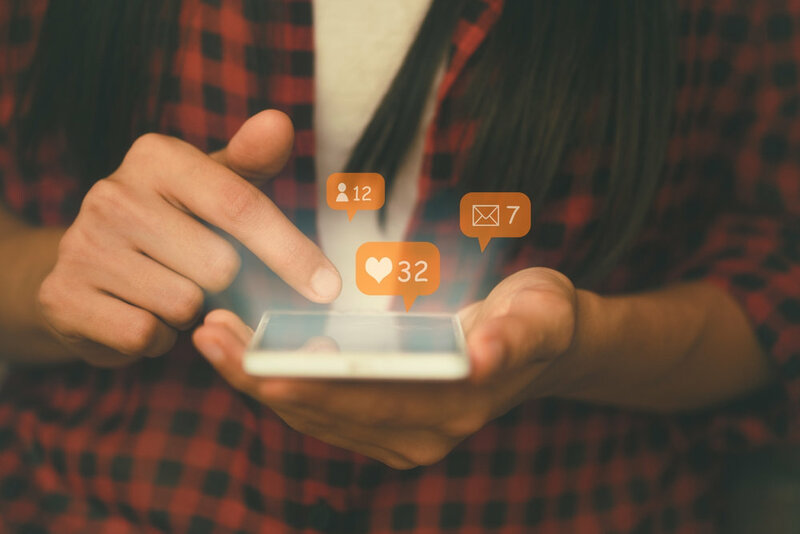 It is important to understand different trends and ways to incorporate successful social media business practices in order to keep up in the digital age of marketing. While social media might not be the only digital marketing component, if not utilized correctly it could have a quick damaging effect. Here are a few trends that will be on the rise in 2019. Social media companies are already integrating their services into third-party applications. This will continue to grow for companies like Facebook and LinkedIn. Currently, these two companies allow users to sign up for third-party services with their accounts and share data with third-party services. It makes signing up for other applications and websites a breeze. Since 2016 when the live video was introduced, it has become increasingly popular every year. More and more people want to know what’s going on at the exact time it is happening. It also helps that Facebook and Instagram allow the video to be posted for fans and followers to watch at a later time. In the era of fake news, it’s crucial for top executives to be active on social media. This builds trust and respect with customers and clients if used in the right way. There are many ways to have a voice heard and social media is the fastest thus far. Influencers are important because of the special impact and rapport they have built with their followers and supporters. If your brand is trusted and promoted by a big time influencer, it is likely that your sales will gradually increase as you progress. Statistics are showing that people are watching, on average, only 45 minutes more on TV than internet video browsing. It is estimated that in 2019, time spent watching videos online will catch up and surpass the amount of TV people watch. This is perfect for the SM world. On some platforms videos take priority, so it won’t be long before every company has a new video out weekly. By this time, many of the Gen-Z population will be turning 20 and entering the job world. Millennials were raised playing outside and video games, Gen-Z was raised with iPads and smartphones in the 4th grade. It only makes sense to target the demographic that utilizes social media for everything! Some companies are already implementing this idea. It is much easier to have a person reach out with a chat box, instead of taking visitors to different web pages. Facebook has already done this with the Messenger app, allowing visitors to continue scrolling while they chat. Social media practices in 2018 were all about personalizing the customer experience, but 2019 brings more of a navigation approach. Businesses are realizing that they have the power to guide customers and followers to their products, giving them the option to decide if they want the product or not. Every year brings new challenges and we’re excited to see what else 2019 will bring to the social media forefront! Make 2019 the biggest, most exciting year for your business and use the power of social media to your advantage. Click here to schedule a Complimentary Brand Consultation. Newer PostHow Does PR Make My Business Successful?